The summer holidays are well and truly here! 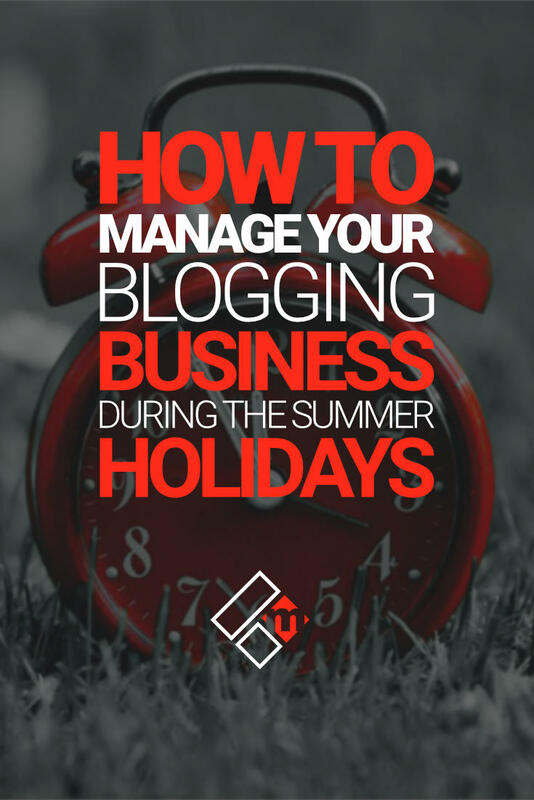 How are you planning to manage your blogging business during this hectic time? Or, if you’re taking some time off, what will you do to ensure your blogging business continues working for you? So, we’re right bang in the middle of the summer peeps, and last week, our kids broke up from School for their long summer break. School’s out and the weatherman says it’s just going to get hotter! Ouch. Oh, the fun and laughs begin, really they do, and I for one am looking forward to spending some quality time with my family. But as an entrepreneur, freelancer, or a blogger working from home, this period can sometimes throw some extra challenges when it comes to your ‘work’ schedule and productivity levels, especially if you have family commitments. And let’s be honest, when the sun is out, all you really want to do is kick back and relax with family and friends and do fun things, right? You don’t really want to be strapped to a desk and computer. Well, if you’re a blogger or online business owner working from home, you have that freedom of choice. For a few of our blogging friends, in certain niches, summer tends to be much quieter in terms of traffic and income. I know this because, for me, from June through to the end of August, both my traffic and blog income are slightly down from the rest of the year. I also get fewer web design clients during the summer months too. 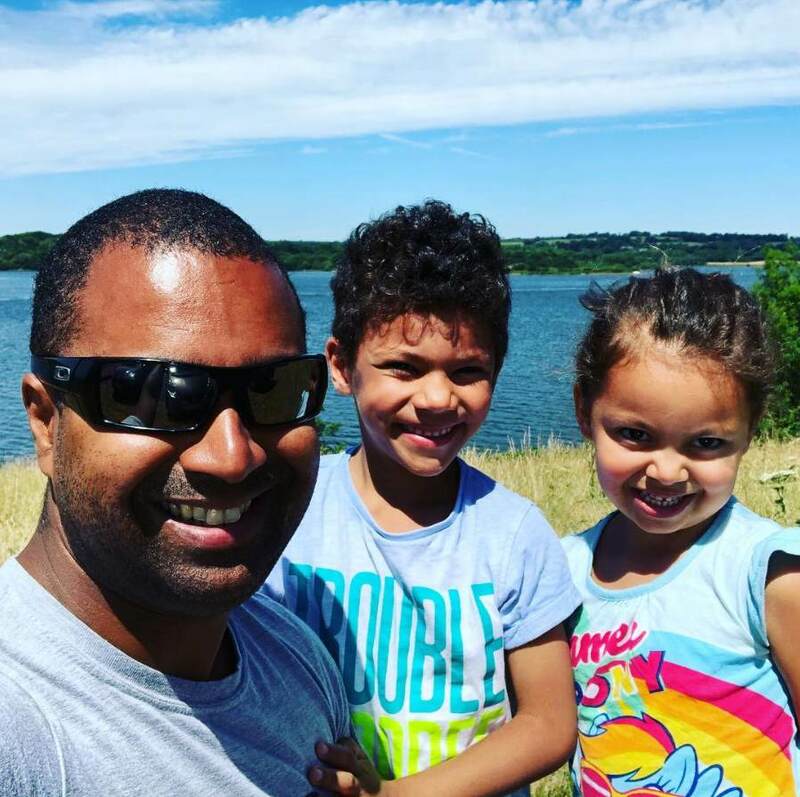 So, whatever challenges you face during the summer with your blogging or freelance business, and whether you have commitments such as a family, kids, or something else entirely, here are some things you can do to keep yourself productive and in the right frame of mind. Scheduling should be every blogger’s thing, right? During the holidays, I tend to do nothing other than schedule literally everything. I don’t plan to take all of the summertime off this year, however, there will be a few weeks where I won’t be working on my blog or even turn on the computer. So, to ensure my blogging business continues to work for me whilst I’m away, I schedule literally everything from blog posts, social media posts, to my email newsletters. As for client projects, like I said, I don’t get very many during the summer, and I try and not take any new projects until September. For scheduling, well, thankfully there are some fantastic tools available, both free and paid. 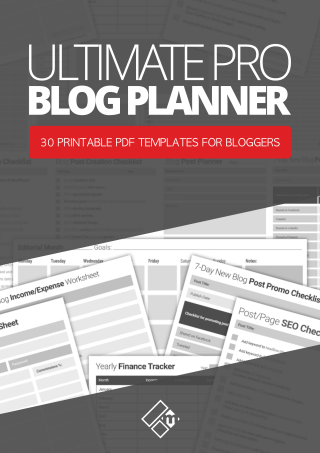 The Ultimate Blog Planner – To organize your blogging business. CoSchedule – For scheduling blog posts, social media content and email newsletters. HootSuite – For curating and scheduling content from around the web. If you’re planning to organize and schedule your blog or freelance workload over the summer too, what tools will you use? Now, collecting guest posts is another great way to ensure you have enough content for your blog over the summer months. If you don’t offer guest blogging opportunities, it might be a little bit difficult to collect guest posts, however, if your budget will allow you to do so, perhaps you can pay a few authentic guest writers to create some great pieces of content for you. Quality guest posts can also help to bring some new perspective to your blog. Your readers will love it, I’m sure. One task that is definitely on my to-do list this summer is to read a few more books. In fact, I’ve just ordered a bunch of them on Amazon this week so hopefully, they’ll be here in the next few days. If you’re planning to read more books too this summer, perhaps to help you improve your blogging or online business, and you’re not too sure where to start, then please check out this post for my top recommended books for bloggers. If you’d like to recommend any specific books that I should read, feel free to leave the title in the comment section below, I’ll be sure to check them out. So, perhaps there’s something you want to learn about and have been putting it off for some time. Well, if you’re not going to be able to do much blogging over the summer months, then maybe now is the perfect time to start a new course. 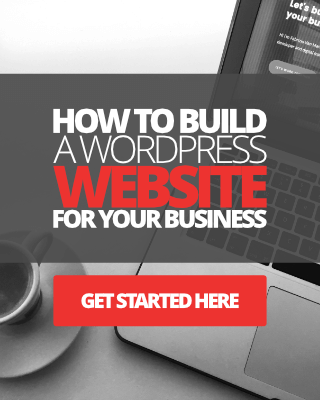 Maybe you want to learn how to develop websites. 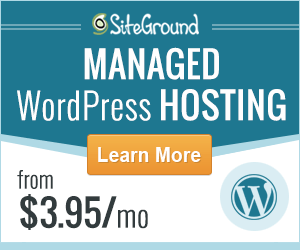 Or improve your knowledge of WordPress. Or, learn how to market your business online. Maybe you invested in some new tools recently and haven’t gotten the time to learn how to use them. Well, now would be a perfect time to start, right? 5. 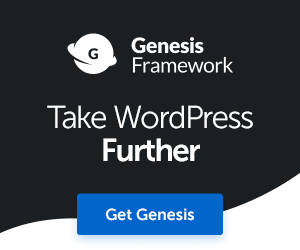 Kickstart that project you’ve been putting off for months! We’ve all been there! We’ve all started something that we haven’t bothered to finish. I’ve lost count at the number of times I’ve started a project that I’ve yet to complete. eBooks are a classic example for me. I’m always putting together ideas for a new eBook. I’ll even go as far as writing the first few paragraphs, but when it comes to dedicating real time to write, I simply can’t. I’m so busy doing everything else needed to manage and grow my online business. I know, it sounds like I’m making excuses, right? Anyway, whether it’s an eBook, an online course, or a new product you want to create and test, maybe now is the perfect time to focus on it. Or even smarter, whilst your traffic and social engagement are low during the summer months, this could be a perfect time to start making some much-needed improvements to your website or blog. The other option you have is to just shut down for the whole summer and do nothing! Just write a meaningful post to let all your readers and subscribers know that you’re going offline for a few months and that you’ll be back in September. I say Septemeber because that’s usually when the kids are back at school. Assuming you have kids, of course. You could keep a few of your social media channels active, though, such as Twitter and Instagram, if you’re on either of those. Taking some time off blogging can do wonders for both you and your blog. When you get back into blogging, you’ll feel refreshed, inspired and motivated to start working again. That’s the beauty with running a blogging business, if you have some reliable passive income streams in place, you could take a few months without worrying too much about NOT making any money. So, as you can see, you have a few options open to you. You could try and balance blogging with your commitments during the summer, or just take some time off and schedule everything. Whatever you decide to do, I hope you have a great summer! I’m going to be absent from my blog now until the last week in August, however, I do have a few blog posts scheduled until then. Plus, you can follow my antics on Instagram here. Enjoy the rest of August and take care of yourself! I love the Summer months, it’s my favorite season because I get to spend so much time outdoors. I love kayaking, biking, hiking and basically anything outdoorsy. Although, not so good for my blog. Luckily I’ve managed to stay ahead with my content. Hopefully, I’ll be able to maintain my blogging schedule for the rest of the Summer. Great tips and I especially love the one about accepting guest posts. I still haven’t opened up my blog for guest posts, but it’s definitely something to think about. Thanks for taking the time to share these tips. Great to see you here. I’m totally with you, I love Summer too. I do suffer from winter blues badly, so when the summer is actually nice in England, it makes up for it. This year has been way too hot than usual though. Great to meet another outdoors person, I love to surf a lot in my spare time, and now the kids are on School holidays we’ll be spending a lot of time down the beach. I know that managing a blog over the Summer can be challenging, but being organized, prepared, and scheduling can solve a lot of problems. Best of luck Susan, and enjoy the rest of your week.